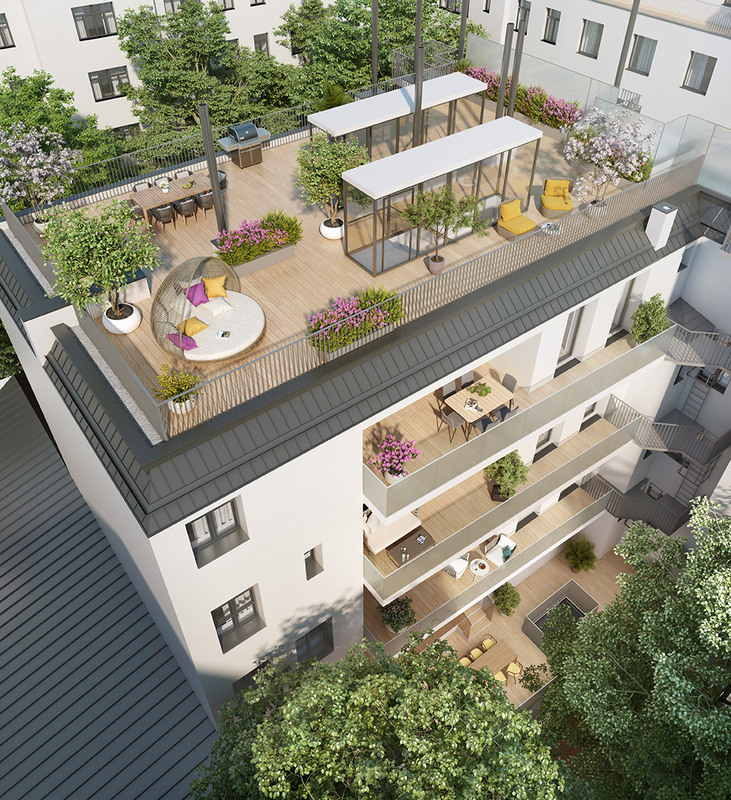 Vienna at its best: next to the city centre seven exclusive condominiums are being built in an absolutely quiet courtyard. 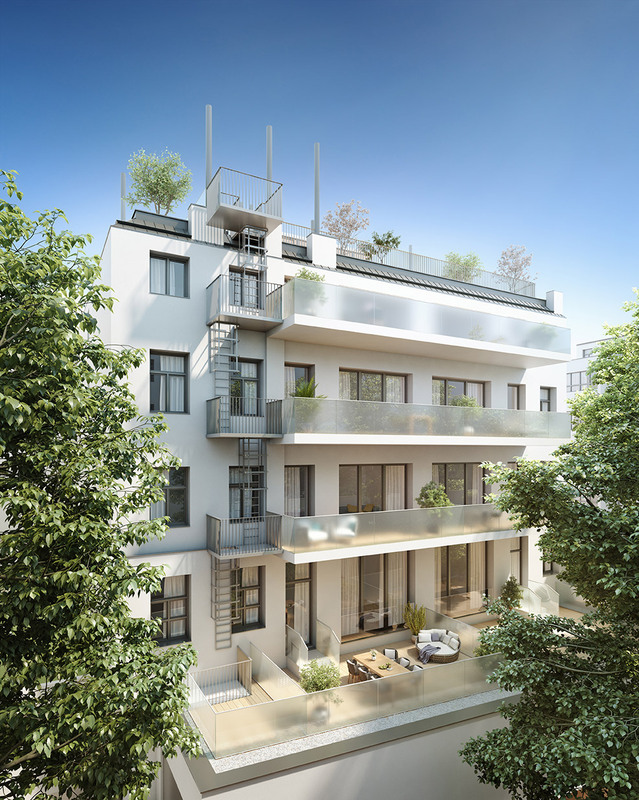 The renovated building excels through its perfect location in Leopoldstadt, which is adjacent to the First District (the city center) and near some of Vienna’s world famous historic sites and lively shopping streets. Furthermore, two of the most beautiful parks are within walking distance and add to the appeal of the property. The seven properties feature two to four room apartments and boast intelligent floor plans with apartment sizes from 73 sqm to 125 sqm. 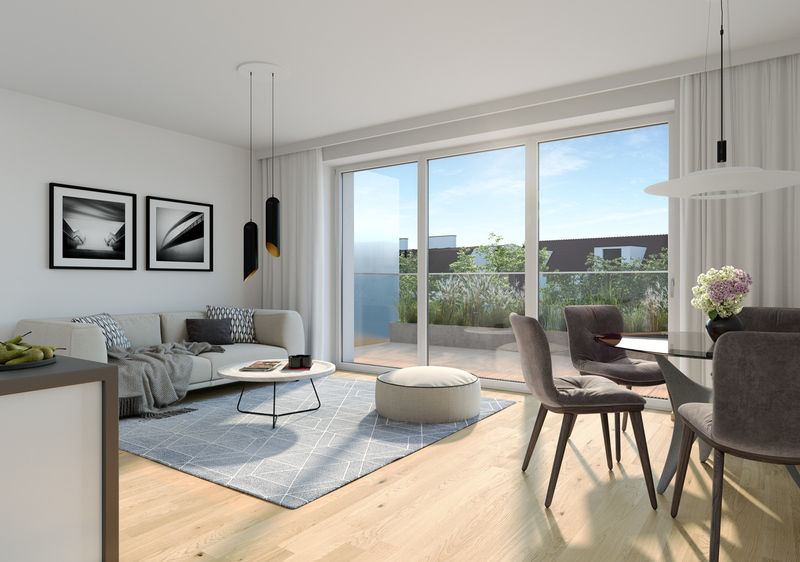 All units impress with attractive open areas; the upper floor invites you to relax on the generous roof terraces. Here you can enjoy top-quality living: the project scores with individual floor plans and well thought- out layouts. The open plan concept combined with expansive glazing guarantees brightness in almost every corner of the apartment, while ceiling heights of 3.5 meters create a generous atmosphere. Extensive outdoor areas facing the quiet idyllic courtyard invite you to relax and finish off the day in comfortable ambience. 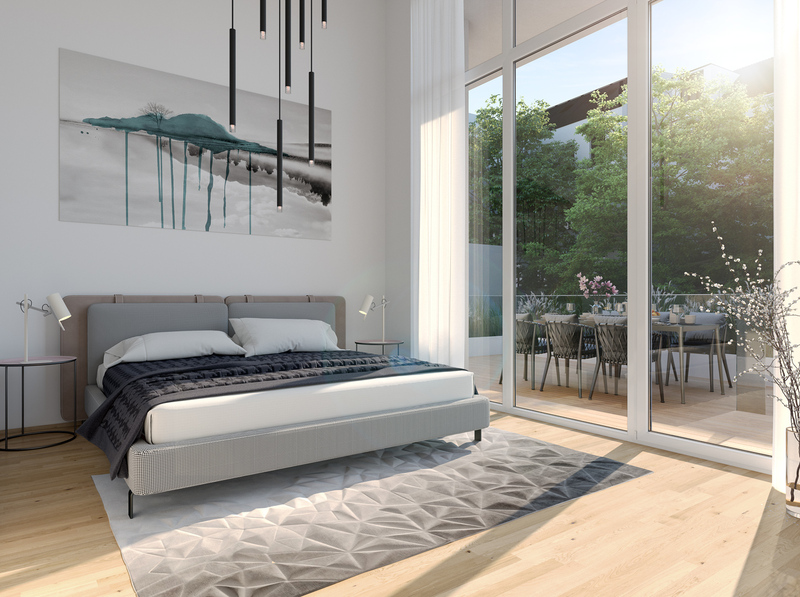 Contemporary and well designed fittings, high-quality flooring and windows, as well as carefully selected sanitary ware provide outstanding comfort and give the apartments a special touch. The apartments extend over four floors. Each unit has loggias, balconies or terraces with a view onto the green courtyard. The top floor is impressive with its sun-drenched roof terrace and invites you to relax under open sky. 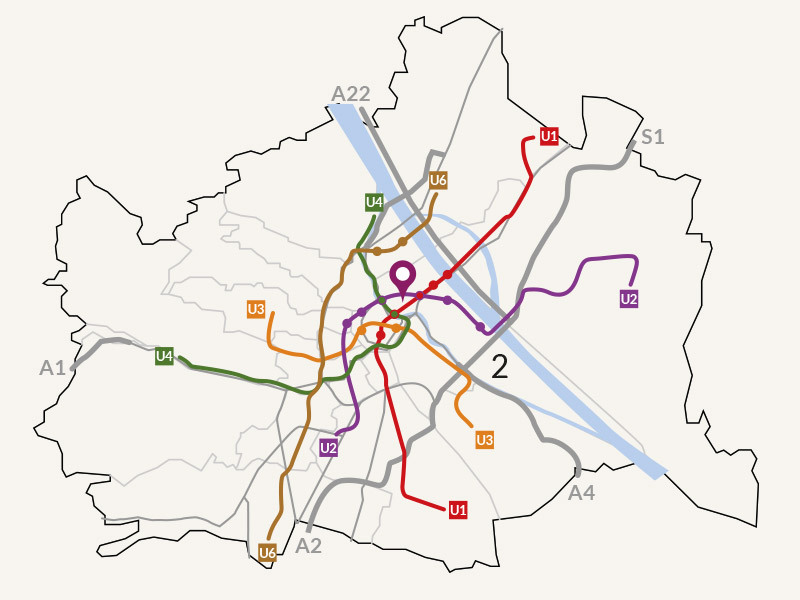 Well connected and perfectly reachable: the U2 underground station Taborstrasse is only a four-minute walk away; tram lines no. 5 and 2 take you quickly to the city center and are reachable within a few minutes as well. Moreover, ideal access to the entire underground and express train network is provided from the nearby hub on Praterstern. 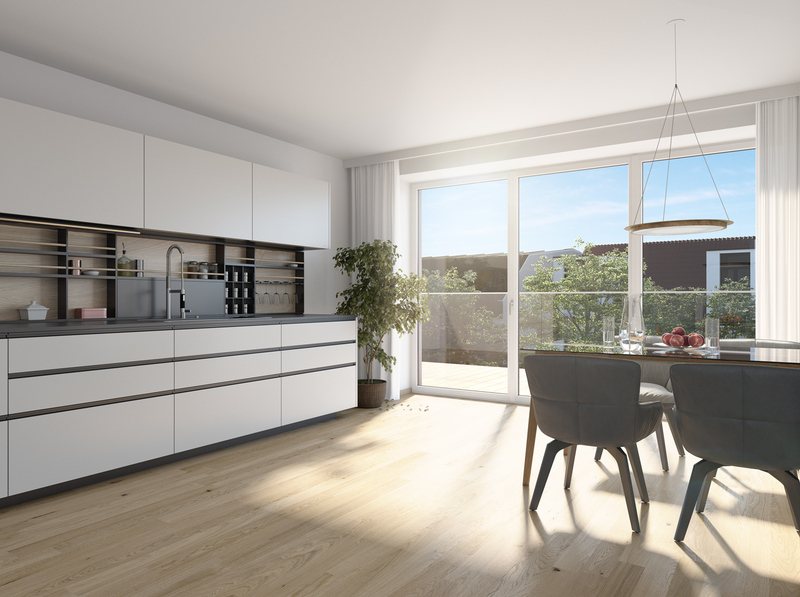 Car drivers will equally appreciate the convenient location close to the Praterstern junction, a hotspot in Leopoldstadt. 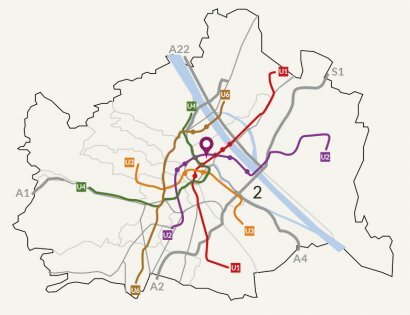 The cycling path along Ringstrasse is also reachable within a few minutes and provides access to the entire cycling path network of the city. The area has extraordinarily good infrastructure and provides everything one needs in daily life. There is a wide range of supermarkets as well as high-quality schools and kindergartens in the neighborhood. The Barmherzige Brüder- Hospital which is only a three-minute drive away provides superior healthcare. The up-and-coming Karmeliter-quarter is located not even ten minutes away from The Pearl in the Second District. 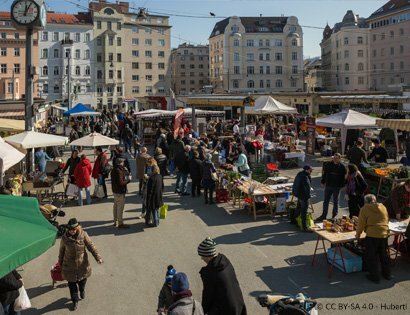 Exciting food in restaurants and bars, and young artists make the area a fascinating Viennese neighborhood. Relax or indulge in cultural events in one of the beautiful inner-city parks close to the project. 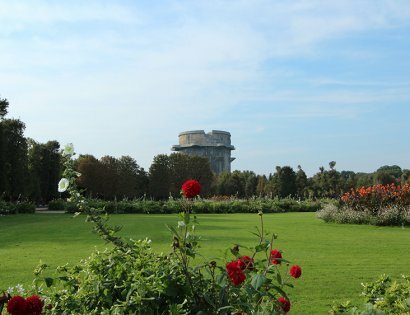 Whether Augarten or the Green Prater - baroque design or nature at its purest - both give contrast to the ambience of the historic city center. Augarten is the oldest baroque park in Vienna and only a five-minute walk away. Enjoy beautiful gardens with elaborate floral landscapes in French style and its shady alleys and chestnut trees. Diverse cultural facilities and numerous events invite you to enjoy and discover. The Green Prater ranks among the most beautiful inner-city parks worldwide. Extensive meadows and forests off the Hauptallee (main street) provide the perfect surroundings for relaxed strolls, jogging runs or cycling tours during all seasons.